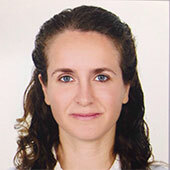 Canan Aydogdu received her BS degrees with honors both in Electrical and Electronics Engineering Department and Physics Department in 2001 from Bogazici University, Istanbul, Turkey, and MS degree in 2003 and Ph. D. degree in 2010 in Electrical and Electronics Engineering from Bilkent University, Ankara, Turkey. She worked as a faculty member in the Department of Electrical and Electronics Engineering at Izmir Technology of Institute and is currently a Marie Sklodowska-Curie fellow at Chalmers University of Technology. Her current work focuses on vehicular localization, telemedicine, Bluetooth, IEEE 802.11 and energy conserving protocols in wireless ad-hoc networks. There might be more projects where Canan Aydogdu participates, but you have to be logged in as a Chalmers employee to see them.